Spotted the number on YG's placard? 4. Spotted the number on YG's placard? 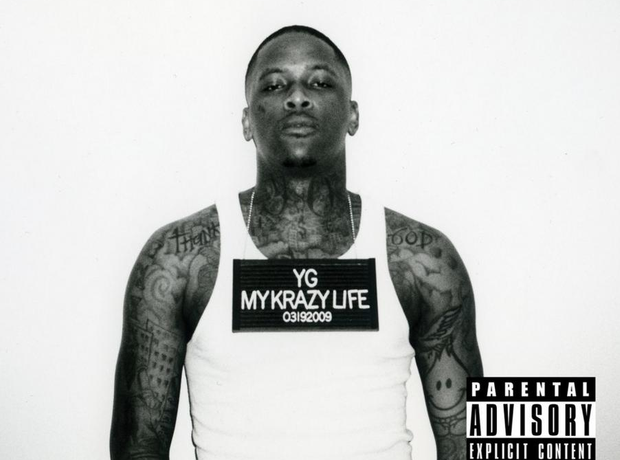 If you look closely, the placard which YG wears in the mocked-up mugshot for the cover of his debut album has a number on it. Underneath the album’s title, ‘My Krazy Life’, is the number 03192009, the date – 3rd March 2009 – that YG got signed to Def Jam. In an interview with Urban Daily, YG explained that he narrowly avoided a two year jail sentence for burglary that would have resulted in him being incarcerated that day.